This was my third year attending DuneFest and it went off better than ever. More vendors and it was well organized. Plus the weather was incredible for four out of five days! DuneFest is held in the Winchester Bay Dunes which are part of the Oregon Dunes National Recreation Area. DuneFest is organized by the Reedsport/Winchester Bay Chamber of Commerce and the Sand Camping/Staging facilities which are on National Forest Lands is authorized by a special use permit from the Siuslaw National Forest. The entire dunes at Winchester Bay are set aside for DuneFest from Wednesday to Sunday. To get into the dunes and the DuneFest event, you need an arm band. I stayed at the Winchester Bay Inn and staged my trailer by the Muzzys booth in Sand Camping Area "C". This worked well for me because I locked my UTVs up in the enclosed trailer at night and drove my truck over the the motel. The Winchester Bay Inn is right near Salmon Harbor. It is convenient, reasonably priced and clean. I brought up out Arctic Cat Wildcat and also picked up a brand new John Deere Gator RSX850i at the dealer in Roseburg on the way in. It was nice to have two UTVs with me since I was there for five days. It is a long way to travel, and it would be a bummer to have an issue with one of the units early in the trip. Thankfully, that worry was unwarranted as both demo units performed without a hitch. I ended up trading back and forth between vehicles several times a day and that made each trip into the dunes different. The Wildcat is a pure sport machine and the RSX850i is sport-utility. What this means is the Wildcat is built with long-travel suspension, higher horsepower and not much cargo area. The RSX850i has standard travel, a 2-inch receiver and a dump bed capable of doing work. The Wildcat is bread for moving through the chopped up dunes, but can't haul a load of firewood to save its' life. So don't try and put these two vehicles in a head to head comparison because they weren't built to compete with each other. We picked up a new RSX850i on the way to DuneFest and put it to the test in Winchester Bay. The Sport model features sport seats, alloy wheels with Maxxis tires, PreRunner bumper, cargo box rails, sport steering wheel and FOX 2.0 Performance Series shocks. This was the first trip with our new demo unit and it performed flawlessly! For a stock sport-utility UTV, the RSX850i is a solid performer and a great move for John Deere's first venture into the less utilitarian world. This isn't a pure-sport UTV, it isn't fair to compare it straight up against models in that class, but it does very well when compared to the Commander, Rhino, Teryx and Prowler. The power from the Piaggio v-twin felt good. Not as powerful as a Commander 1000, but definitely more grunt than a Teryx. I believe there is a lot of potential left untapped with intake (single 36mm throttle body has got to be restrictive) and exhaust work. The suspension is unique, and for a 56.5" wide, non-long travel UTV I was real impressed. Our Arctic Cat Wildcat was big fun at DuneFest. Paddle tires from Fullerton Sand Sports, new dual exhaust installed at DuneFest by Muzzys, Pro Armor doors and graphics and Rigid Industries SR LED light added some personality and punch to this sport UTV! The Wildcat really shined in the Winchester Bay Dunes. I rode most of the time with two people in the car, and as the week progressed the dunes got more chopped up. We could bomb through terrain that other UTVs would not be able to handle at half the speed. The only issue I say in the suspension is trying to set the car up for two people with optimal g-out and whoops control. If you add more compression to handle the g-outs in the rear, it tends to buck more in the whoops. This is really only an issue when riding hard in the dunes with two people, but that is what I like to do. I would also like to see how a set of Fox Racing Shox Position Sensitive Shocks perform in the rear. 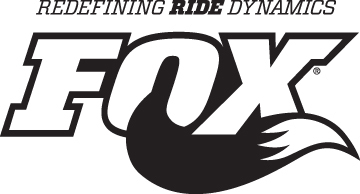 Maybe FOX will even offer a 2.5" setup in the near future! I got a chance to take the Muzzys Wildcat for a ride. It features dual exhaust, Stage II big bore power, Muzzys wet-clutch delete, Factory UTV skids, Fullerton Sand Sports sand tires and much more. Love the extra power and the wet-clutch delete! We caught up with the Moore Brothers (Caleb and Colton) on the Poker Run on Saturday morning. They were riding in a Polaris RZR XP and were having big fun ripping up the dunes! The 350 HP RZR XP that K&T Performance brought was insane! Arctic Cat and Yamaha had their factory demo semis at DuneFest. Portland Polaris was giving demo rides as well. Muzzys was out in the sand area as well. Selling performance products and installing exhaust systems. Caleb and Colton Moore put on several ATV Freestyle events at DuneFest 2012. These guys have mad skills and the crowd loved the action. 9:00 am - DuneFest 2012 FAMILY FUN IN THE SUN ACTIVITY AREA OPENS sign up at the Albany MX TRACK AREA. 10:00 am - Event Registration Booth (Poker Run, Treasure Hunt, Tire Toss, etc. opens Main Stage (DECIBEL CHECK REQUIRED testing available). 2:00 pm - Mini Warriors Quadcross Grand Prix MX track area. 9:00 am - DuneFest 2012 FAMILY FUN IN THE SUN ACTIVITY AREA OPENS sign up AT at the Albany MX TRACK AREA. 3:30 pm - Kid's Best Poker Hand Fun Run MX track. DRAG STRIP - Be sure to REGISTER for all Sand Drag Races on Thursday, Friday and Saturday at Race Track. 9:00 am - 5:00 pm Drag Strip Opens Test & Tune. 8:00 am - DuneFest Pancake Breakfast at Hospitality Tent Main Stage Area sponsored by Polaris, presented by The Military Order Of The Purple Heart. 9:00 am - Midnight. Free Shuttle bus service begins. 9:00 am - DuneFest 2011 FAMILY FUN IN THE SUN ACTIVITY AREA OPENS sign up at the Albany MX TRACK AREA. 10:00 am - 11:30am - Team & Ironman Classes 400cc and up ages 12 and older. Noon - Team Women 200cc - 400cc ages 10 and older. 1:00 pm - Team Kid's 90cc and up, ages 8 to 14. 10:30 am - 1:00 pm Treasure Hunt Presented by ModQuad (DECIBLE CHECK REQUIRED). 1:00 pm - Turn in Treasure Token and Collect Treasure at the Main Stage. 2:00 pm - 4:00 pm Youth Safety classes open Main Stage. 3:00 pm - Side X Side Last Man Standing MX track. 4:00 pm - Tire Toss sponsored by MotoGear at Main Stage Area Men, Women, & Kid Brutus win a set of paddle tires. 4:00 pm - ATV Last Man Standing 450cc Quads and bigger MX track. 5:30 pm - 6:00 pm - Quad Freestyle Show by X Games Gold Medalist, Caleb & Colton Moore at Main Stage Area. 6:00 pm - ATV Charity Auction at The Main Stage Area sponsored by the Vendors and Sponsors of DuneFest 2012. 1:30 pm - 2:30 pm - Side X Side Race. 9:30 am - Winchester Bay QuadCross Races. 9:40 am - 70 -125CC Amateur or Expert. 10:00 am - 200 - 400cc 4 stroke Amateur or Expert. 10:30 am - Shifter Expert Women’s Only. 12:30 pm - 450CC Beginner. 1:00 pm - Ages 30 years and older Amateur or Expert. 3:00 pm - Pro Race. 3:15 pm - Dirt Bike, classes TBD. 3:30 pm - Side X Side Classes. 10:00 am - 11:00 am - Can Food Drive Main Stage Area sponsored by ModQuad. 1:30 pm - 2:00 pm Poker Run Hands turned in at the Main Stage. Winning hands announced at 2:15 don't be late. 5:00 - pm – 6:00 pm - Albany MX Area Presentation of Trophies and Prizes to Race Winners Main Stage. 6:00 - pm – 7:00 pm - Oregon Offroad Racing Association Sand Drag's Presentation of Trophies and Prizes to Race Winners Main Stage. 7:00 pm - 7:30 pm - Quad Freestyle Show by X Games Gold Medalist, Caleb & Colton Moore at Main Stage Area. v At the Main Stage Area live performances (bring your own chair). 2:00pm - KING OF THE DUNES RACE.